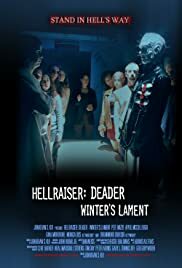 In this fan film crossover, Lucifer blackmails a young woman into solving the Lament Configuration, in hope of bringing the Cenobites into the Second Angelic War. After a shaman who is about to die in the Coliseum casts a spell that unleashes the world's first zombies, a gladiator must fight to stop the spread of the zombie horde and save Rome. A follow up to Hellraiser Prophecy, Jonathan Kui brings us another fanmade movie. This time heavily influenced by Hellraiser: Deader (2005). The trouble with Prophecy was that it was not only shoddily made but it ultimately made little to no sense. Alas this suffers the same fate and was a weak head scratching 30 minutes. As I've said many times before, don't swing above your weight and that's what these guys and girls keep doing.